In high school I was fascinated with stop motion. Probably even more than the animation though, I loved being able to create my characters and scenes. 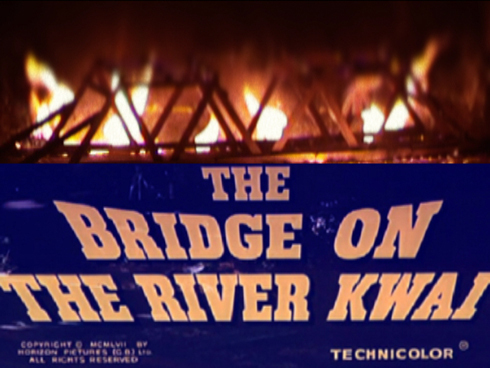 For one unfinished project this resulted in two popsicle stick bridges inspired by the 1957 Best Picture, The Bridge on the River Kwai. I had always intended to destroy one of the models in a climactic explosion with a miniature train going across it, but that never happened. In the summer of 2002 just before leaving for film school, I began cleaning out my old bedroom and getting rid of all my old stuff. I decided it was finally time to destroy one of the models and get it on tape. Here's that footage from August 2002.